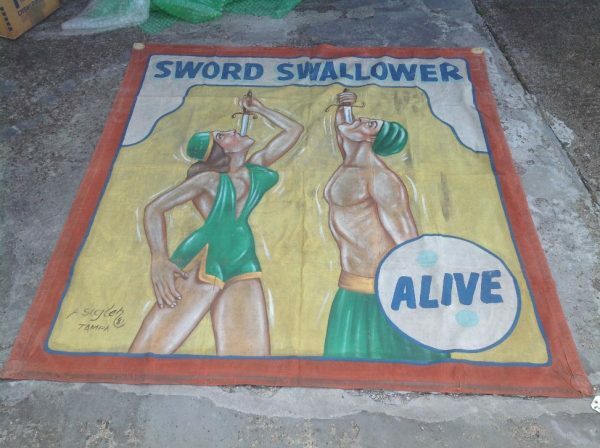 Antique canvas circus/carnival sideshow freak banner Sword Swallower in as found condition. Missing rings and measures 87″(7 1/4′) x 92″(7 1/2′) . 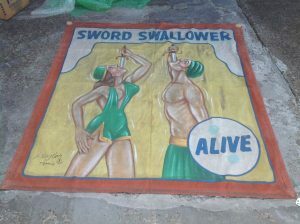 Signed Sigler.